Hi This is Roy Packer’s project for Winter 2017/18. Full details to follow. 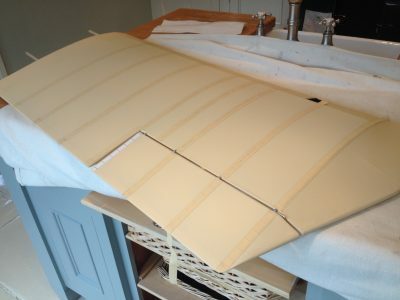 Here’s a couple of photos of the rib stitching , after the rib stitching , the wings will be painted. 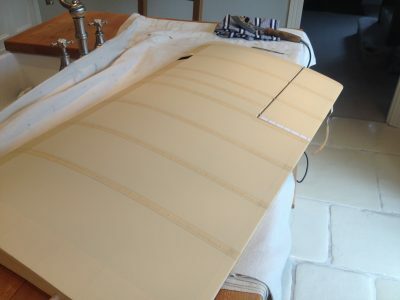 These photos show the simulated wing rib-stitching, and simulated aileron cable pulley. 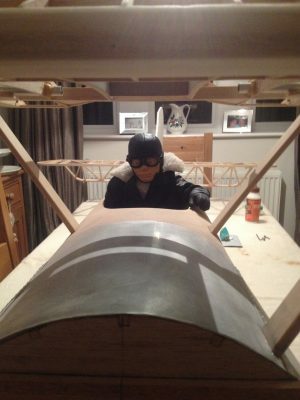 Dear Viewers, heres a few details on my sopwith pup project. 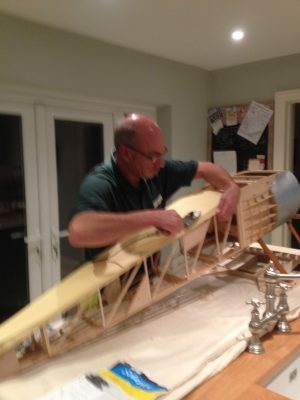 its from a “balsa usa” kit, the model is to , one third scale, wingspan is 112 inches, powerplant is a Zenoha 62cc petrol, with a Schlundt reduction gear, with a ratio of 2.5 to 1, this will swing a 34 x20 propellor for very scale-like flight. 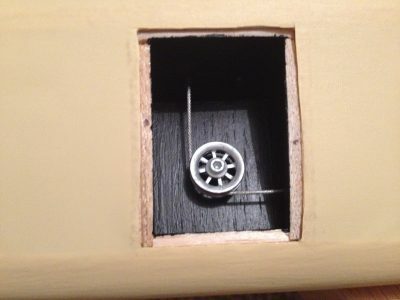 I also fitted an “easy-start” system, for fuss free starting (i hope ) servos are Hitec 5645 mg for all flying surfaces, plus a standard servo for the throttle, and the choke will be manually operated. 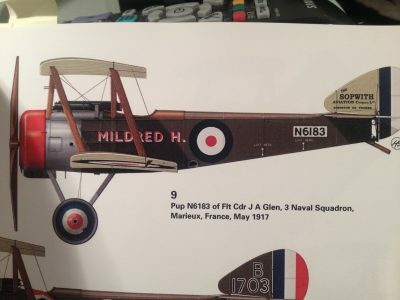 i also plan to fit a smoke system .radio gear, is spektrum, with 2x 6 volt sub-c nimhs i chose a particular sopwith pup, which was marked as MILDRED H, which was flown by flt cdr james glenn, and based at marieux, france in may of 1917.